President of Ukraine Petro Poroshenko said that Ukraine would return Crimea and Donbas the same way it returned Nadiya Savchenko home. 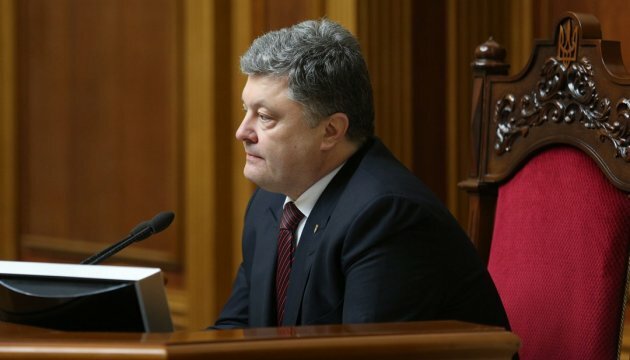 Poroshenko stated this during a press conference at the Presidential Administration, an Ukrinform correspondent reports. "We were worrying, praying, working actively, organizing rallies during long 709 days so that this day could come. Today is the day when Nadiya Savchenko has returned to Ukraine together with hope and firm belief in our victory. The same way we have returned Nadiya, we will regain Donbas and we will return Crimea back under the Ukrainian sovereignty," Poroshenko said.